Fashion Designer Ambreen started her designing passion in 2010 with close friends & family which eventually met great sucess. The formal party Artistic dresses in Ambreen Bilal latest collection 2013 include long shirts with churidaars. 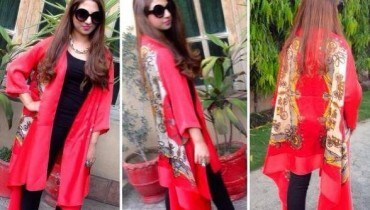 Long shirts with churidaars can also be seen in some of the stylish dresses in the collection of Ambreen Bilal. The dresses are different colors with embroidery and high quality silk, chiffon,etc fabric used.Some of the outfits have other colors along with white. Fashion designer Ambreen Bilal Latest winter reveals her arty collection 2013 shoot by My Women’s Own Magzine January 2013 issue..
Ambreen Bilal has launched mid winter dresses for women 2013 that are trendy, stunning and of superior quality. Furthermore, the colours of the outfits are very nice and it attracts various people towards you.